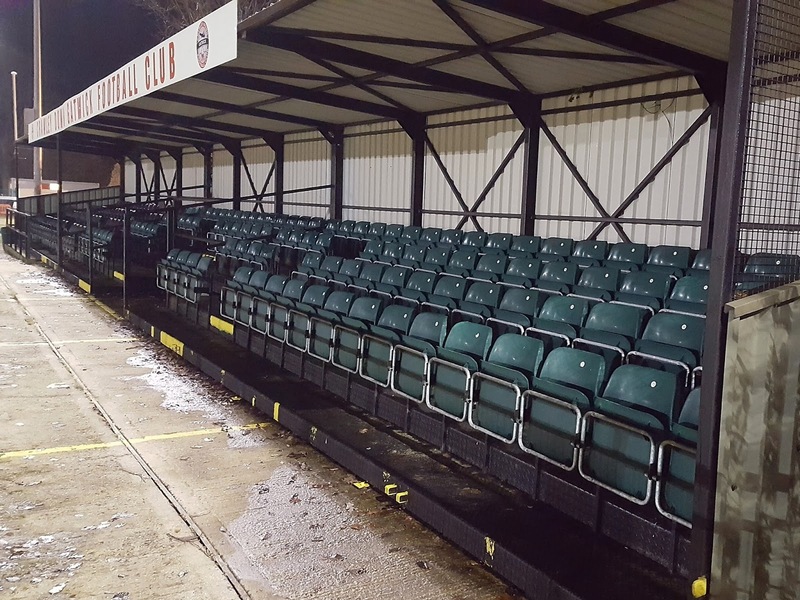 My twenty-seventh ground of 2016 was on Tuesday 27th December at The Haven Sportsfield in Crawley Down, West Sussex. 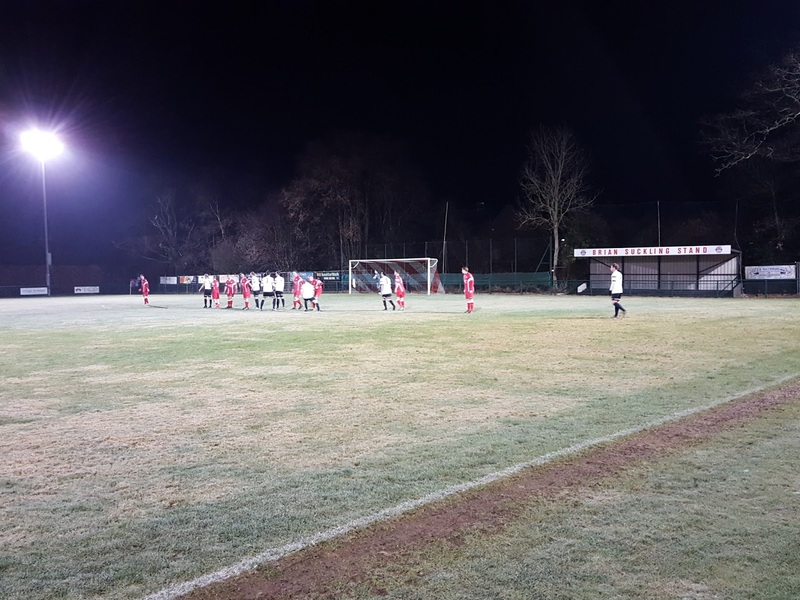 The match was Crawley Down Gatwick vs. Horsham YMCA in the Southern Combination League Premier Division. The Haven Sportsfield is on the northern tip of the village of Crawley Down. The football pitch is part of the community centre known as The Haven which was opened in 1991. The building itself runs along the southern side of the ground with housing to the east and open fields to the west and north. The nearest railway stations are East Grinstead to the east and Kingscote to the south, both of which are just under 3 miles from the ground. The community centre and social club building is behind the southern part of the venue and this contains the boardroom, a club bar and players and officials dressing rooms. Moving into the confines of the football ground there is a 186 seat stand just over the half-way line towards the western end. The remainder of the southern side is taken up by uncovered standing. The uncovered standing continues round the western end and the northern side of The Haven. The northern side also includes the two dugouts by the half-way line. The eastern end is mostly uncovered standing but has a small terrace known as the Brian Suckling Stand. This structure has 4 levels of standing and is located towards the southern end of the ground. Near to this in the south-west corner there is a food van for supporters. 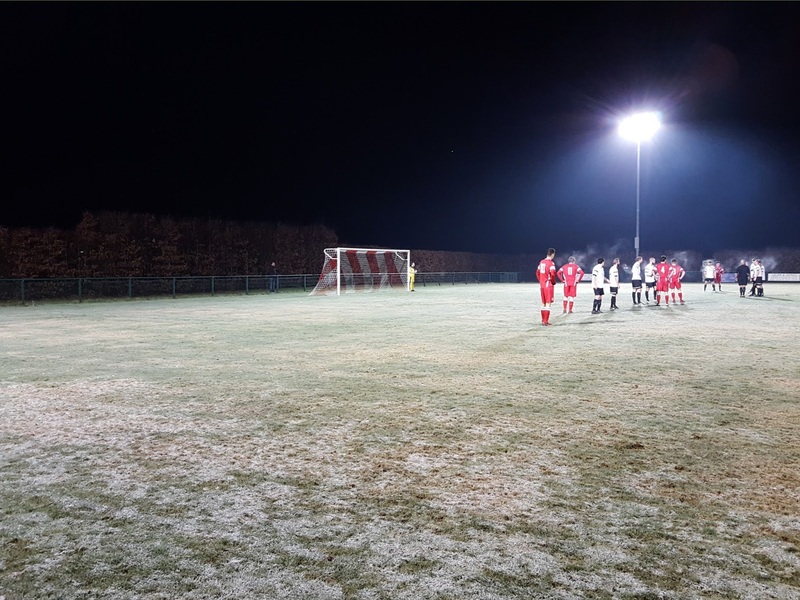 On a bitterly cold night Crawley Down started brightly and took the lead after just 6 minutes when Oli Leslie snuck in behind the defence and was slipped in by Lee Thomas allowing him to slot past the goalie in the box. The hosts should have extended their lead in the 19th minute when the ball was played from the right into Gianfranco Mici who lifted over the bar from close range. Crawley Down continued to have the best of the chances and again found themselves clean through just before the half-hour mark although on this occasion Sam Smith saved Lee Thomas' shot. 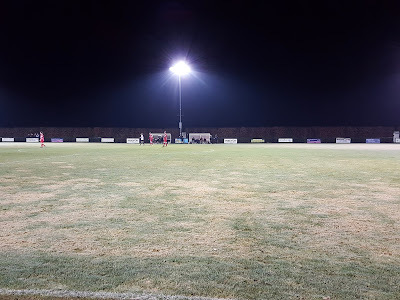 The wasteful finishing of the hosts came back to haunt them in the 49th minute when Max Howell picked up the ball 30 yards from goal, beat a couple of defenders and stroked past Martin Hopkins from 12 yards to equalise for Horsham. The home side went close again shortly after when Dan Sullivan hit the foot of the post from a free-kick but the game then descended into a niggly affair with lots of fouls disrupting the flow of the event. The visitors took a surprise lead in the 76th minute - it came about when Dan Evans controlled an overhit pass well and then mis-hit a crossed into box. Fortunately for him this poor cross ended up looping over Hopkins into corner of net. The home side did not deserve to come out of the game with nothing and in the 81st minute a mix-up in the visiting defence let Sam Cane in on goal and he clipped the ball over advancing goalie from 15 yards to level the game up at 2-2.